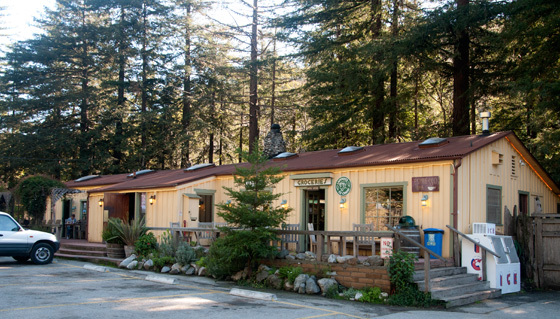 Fernwood Resort is an all purpose facility featuring a 12-unit Motel, Forest and Meadow View Cabins, Redwood Bar & Grill, General Store & Espresso Bar, Camping Supply Store, Tavern, and a 60-unit Campground located in a redwood forest. We can accommodate RV's in our campground up to 30' and feature Tent Cabins located on the banks of the Big Sur River. We also feature Adventure Tents for our Glamping customers. Check the Calendar of Events page for weekend music, festivals and events. Fernwood Campground conveniently borders Pfeiffer Big Sur State Park for easy access to local hiking and offers a great winter camping experience. Directions to Fernwood.